Elementary Lighthouse School teachers, paraeducators, and administrators returned for year two of their summer institute. Keynote Stephanie Harvey delivered a powerful message with a theme of living a curious life and framing our mindset of digital learning environments not as 1 to 1 classrooms but as 1 to World. During the sessions, attendees reflected on how to incorporate P21 skills into instruction. The staffs of the Elementary Lighthouse schools left excited to begin the 2015-16 school year with new ideas on how to infuse critical thinking, communication, creativity, and collaboration into teaching and learning. Teachers and administrators from the seven Lighthouse middle schools attended the one day Lighthouse Institute. Superintendent Dr. Dance and keynote speaker Steve Dembo of Discovery Education kicked off the day, encouraging participants to be embrace risk and be innovative. Participants attended choice sessions on a vast array of topics and tools to support them in providing customized, blended instruction for their students. Byron Garrett of Microsoft ended the day with an inspirational closing keynote on "Preparing Students for a Future That Has Yet to Be Created." 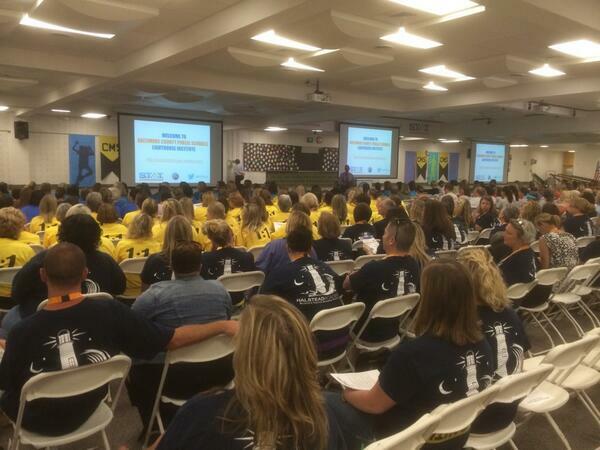 The final day of the Lighthouse Summer Institute was filled with over 300 staff members from the 10 Lighthouse Schools. Keynote speaker Gus Schmedlen, Vice President of Worldwide Education for Hewlett Packard, kicked off the day with a inspiration keynote address. Teachers then went into break out sessions to learn and explore BCPS One. The training and collaboration left teachers feeling more confident to start their journey in the upcoming school year. 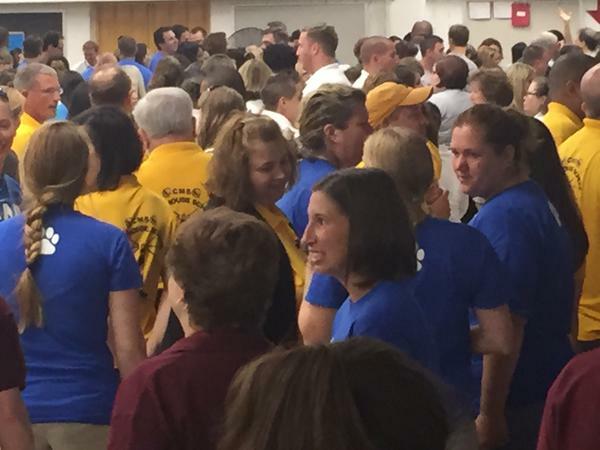 The first two days of the three day Summer Institute for BCPS Lighthouse School teachers and administrators was a sea of color as staff donned bright T-shirts to represent their school. Participants attended workshops on topics including characteristics of a learner-centered learning environment, databases for digital learning, social media and online research, and other subjects. The first day kicked up with a keynote from education innovator Hall Davidson of Discovery Education.